As many of my regular readers know, I have been dogged by occasional knee problems since February 2011, while on a loaner bike before my current frame arrived. The process of dealing with this issue has been a painful one. It is not simply a matter of soreness flaring up, but it is also a matter of life quality. Before the knee trouble I had worked and trained myself into a state of fitness that resulted in some rides that still amaze me. I had gained speed and endurance enough to expand my day-rides to include much of western Taiwan. I felt like there was no place on the map I couldn't ride in a day or two. The thrill was in choosing harder, more challenging routes to cover... and be home by supper. Since that time, it has been an endless cycle of rebuilding and regaining lost ground. For every recovery and rebuild that seems to be sticking, there is a eventual fall back to zero. Doctors would shrug and prescribe rest or to ride no more than 30km because it was such long distance. Problems like these are tricky and it can often be like owning an old Volkswagen. The problem can be one of a dozen things, so it is usual to start with the cheapest solution and work upward. For me, I started with a new bike that was custom made to fit, and it works very well, rides very well, fits very well, and I had alleviated the issue for several months of hard riding, but the pain eventually returned. I began to suspect that either my fit had changed for some reason or another, or I was suffering through a serious imbalance. Whatever it was, it was vexingly elusive. That is why I finally decided to see a fit specialist. I have known of the Retul fitting system and I have been following Winston Tam's work at his Friday Fitness fit studio in Taipei. It was an intriguing idea, but the price tag was a little steep for me at this time, so it would be impossible to justify to the wife. As I sat in the bus last weekend nursing my knee, another rider who had done the Retul fitting with Winston in Taipei, passed on the info that there was now a Retul technician in Taichung who was charging quite a bit less for a double-sided evaluation and fit. I got the ok from home and was booked for an appointment within a couple days. Using motion capture technology, Retül records the rider's positions in motion, therefore creating the most realistic picture of the rider's actual pedal strokes and body positions when out on the road and trails. Measurements made by traditional tools are subject to human error and therefore can be devastatingly inaccurate. Slight inaccuracies can drastically change the rider's feel after a ride. The Retül system is accurate to within less than a millimeter, creating true objective data which can be utilized by the fitter for the perfect biomechanical fit. Fit data collected in a traditional two-dimensional plane (i.e. video-based systems) is fairly limited because the fitter can only look at one view at a time, and those views stand as independent reference points. In order to make the best fit recommendations, the fitter must realize that the front and side views are actually interdependent reference points. In other words, the front and side views must be viewed simultaneously in three dimensions in order to see how all the applicable movements of the body are working together. 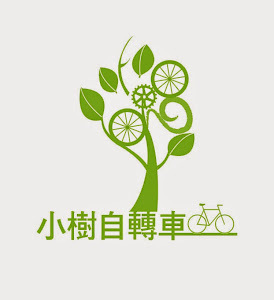 In Taichung the Retul technician is Cienne Wang at Little Tree Fit Studio (小樹自轉車). The studio is just off of Xitun Rd. about a half a block from Fuya Rd. (福雅路) near several of the bike stores at the base of the climb to the top of Dadu Shan. As I entered the studio I could see several pieces of Retul equipment situated around the room, including their iconic fitting rig. Mr. Wang and I chatted for a little while and then got down to the fitting. We first discussed my riding style and some routine particulars, and then I underwent a physical evaluation to determine my strength, flexibility, muscle balance, leg length, and foot position. It was finally time to attach the sensors and root out any anomalies I might have in my fit. The full Retul fit tests both sides of a rider's body to more accurately assess a rider's asymmetric needs. Most of my numbers were fine. Some of my numbers were a little off. A couple others numbers were anomalies. Many of the adjustments followed my intuition, but I never felt confident enough to follow through. Hard data made it far more assuring to make adjustments rather than basing any change on gut instinct with the danger of making things worse. We then moved my position forward and a bit more stretched out. This felt a little strange on the trainer, but once I hit the pavement it all made a bit more sense. We spent over two hours adjusting and refining my fit. I was provided with a report derived from the data that I can use for any future bike. Retul also has a database of bike frames they can match to a particular rider. It will still be a matter of time before my muscles readjust to the new position and I can transfer more of the load more evenly around my legs to repair some of my imbalance. I highly recommend every rider should have a detailed fitting done at least once, if simply for the data or to improve your performance. If you are a rider with knee or back pain, the solution is even more pressing. My session at Little Tree, which included a follow up fitting and further readjustment, was not cheap. It cost me NT7500 for the dual sided evaluation. A single sided fit runs NT4500. When you see the tiny adjustments being made it might seem an awful lot of money for a few millimeters. The price IS cheap when you consider an error of a few millimeters amplified over hundreds of thousands of revolutions and tens of thousands of kilometers. The price is minuscule when considering the hours of lost fitness, health, joy, and overall quality of life. Mr. Wang was an excellent fit tech. He speaks English quite well and as a dedicated father of a little girl, he and I had a lot to talk about. It was easy to relax and get into the fitting. I will keep everyone informed in regard to my progress, and I hope to encourage more riders to not wait as long as I did before getting a detailed fit. Life it too short to waste it recuperating. If you are looking for one of the most detailed fit systems on the planet, Little Tree has what you are looking for. This is Taichung's best equipped fit studio for cyclists. Special thanks to Cienne Wang for his attention to detail. Excellent!